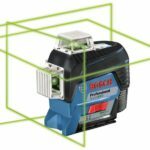 Bosch has announced 2 New Bosch 12V GCL100-80C Connected Crossline Lasers In Red And Green that are compatible with their 12V power tool batteries. They offer dual line cross-line lasers with a visible range of up to 100 ft. Check out the full press release below. Mt. 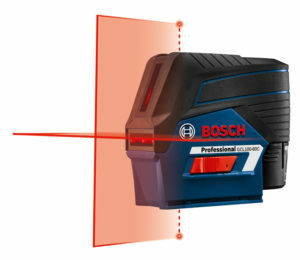 Prospect, Ill., – The Bosch GCL100-80CG 12V Max (green beam) and Bosch GCL100-80C 12V Max (red beam) Connected Cross-Line Lasers with Plumb Points deliver all-in-one versatility that combines cross-line laser precision and two laser plumb points. Each laser projects visible lines up to 100 Ft.; the green beam option offers a line that’s 4X brighter than standard red beams. Both units have red points. These tools feature Bosch-exclusive VisiMax™ technology, which monitors tool temperature and power consumption to deliver the brightest line for the job. In addition, the two lasers feature Bosch 12V Max Lithium-ion power for extended runtime. And users can connect the laser to their smart phone with the free Bosch Levelling Remote App(available at the Apple App Store® and the Google Play™ Store) to increase precision and productivity on the jobsite. 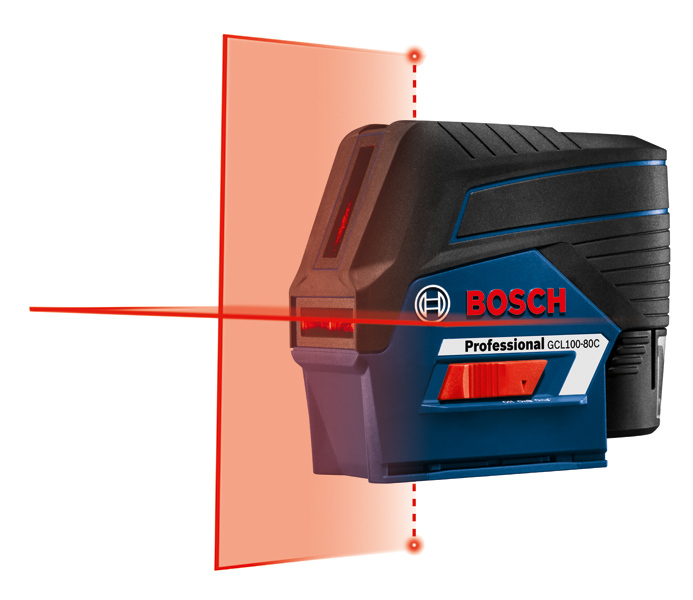 The lasers can work with an optional Bosch laser receiver (LR 6 or LR8) to extend that range to 165 Ft. The Bosch GCL100-80CG 12V Max and Bosch GCL100-80C 12V Max Connected Cross-Line Lasers with Plumb Points are ideal for the user who works a variety of jobs involving plumbing, leveling and aligning. The two lines are precisely level and plumb thanks to a self-leveling system that also indicates when the tool is out of level. The devices also are equipped with an integrated one-switch locking pendulum that allows safe tool transport. Included with the kit is the RM 2 Magnetic Rotating Mount, which rotates 360° with a fine adjustment knob. 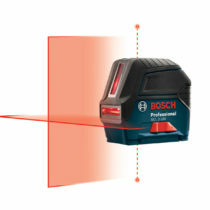 The Bosch GCL100-80CG 12V Max and Bosch GCL100-80C 12V Max Connected Cross-Line Lasers with Plumb Points facilitate one-person job setup with horizontal leveling, vertical alignment and plumb point transfer applications, highly visible lines and points, connected capability, and lithium-ion battery technology for extended runtime. 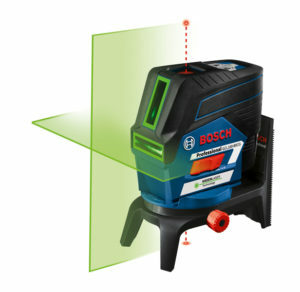 To learn more about the Bosch GCL100-80CG 12V Max and Bosch GCL100-80C 12V Max Connected Cross-Line Lasers with Plumb Points or to find a local dealer, visit www.boschtools.com or call 877-BOSCH-99. Check out www.bethepro.com for additional tips and videos.